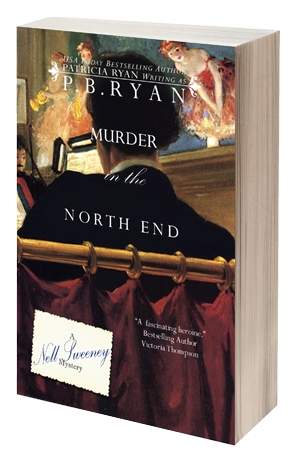 Nell is shocked to learn that her friend Detective Colin Cook is a fugitive from justice, having reputedly killed a petty criminal in a North End concert saloon called Nabby’s Inferno, after which he fled the scene of the crime. Cook’s nemesis on the force, the loathsome Constable Skinner, thinks Nell knows where the Irish detective is hiding. She doesn’t, nor does she believe that Cook is capable of murder. To gather evidence in Cook’s favor, Nell must venture into the most depraved and crime-ridden neighborhood in the North End. William Hewitt, back home from his sojourn in Shanghai, isn’t about to let her undertake such a dangerous investigation on her own. Posing as petty criminals, they infiltrate the so-called “Murder District,” but the more they find out, the more hopeless it looks for Cook. 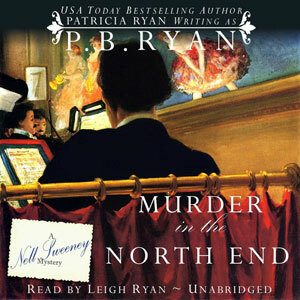 Murder in the North End is coming to audiobook soon!